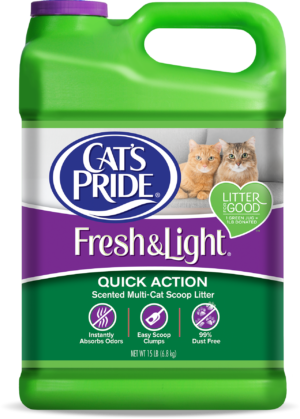 Cat’s Pride Scoopable Scented is a flushable* clumping cat litter that instantly absorbs odors and provides a fresh, clean scent. Plus, it provides great value with up to 50% more litter per pound** than other leading brands. Easy to scoop and flush, easy on your budget. **As compared to many scoopable clay litters; number of uses may vary based on individual litter changing habits. Cat’s Pride Scoopable Scented is rated 3.7 out of 5 by 88. Rated 5 out of 5 by april01 from Good litter We have gotten donations of this cat litter to our Humane Society of Houston County Georgia and like the product! It has a great smell to it! We do not flush any type of litter. Rated 5 out of 5 by TxCatsMom from FINALLY !! Something that actually works !! I purchased this product because the store was out of the product I usually purchase. I am SO pleased with this product !! Seriously, you can't tell where the cat box is because the odor is completely absorbed by this product. I am one happy camper !! Rated 5 out of 5 by Linnie from Great product. ! I have been using this for awhile. Works great ,but isn't low in dust . Rated 5 out of 5 by martyi48 from Great for older cat! I have tried alot of cat liter's in the past. Now I have a 16 yr old cat and she does SO much better with your liter. It is easy for her to move around and it doesn't but the bottom of her paws like the pebble liter's do. Rated 5 out of 5 by Dashkariel from I love it Is like beach sand so my cat love it, is very good for the clumps, when you take them out is like new sand. It last for long time. Oh yes. Our packages have printed code. Our Georgia plant ( noted by GS or GA and 9 digits ) indicates a whiter clay, while our Mississippi plant (noted by BM or BMP and 9 digits) indicates a darker clay. Please contact our consumer relations for more information and coupons: 1-800-645-3741. Recently the litter seems to be darker. Has the formula changed? Thank you very much for your question. Our formula has not changed. 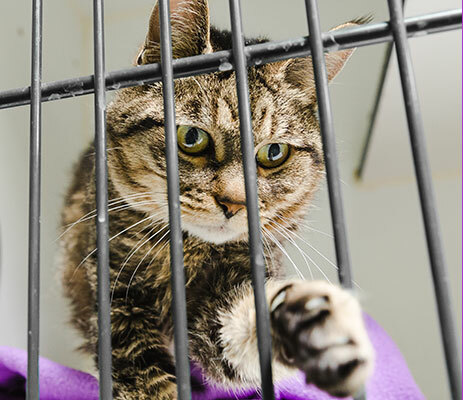 We produce our cat litters from 3 different plant/state locations: CA, MS, GA. The color of the clay will vary from state to state; however the formula and the performance of the product(s) will not change. Thank you for your question and your continued support of Cat's Pride&reg;! Can this litter be used with an ejector pump that goes to a sewer. What happends if my cat eats the litter Sand??? Thank you for contacting us with your question. Please be advised that eating our cat litter is similar to eating soil or dirt from the backyard. Eating too much will certainly upset a pet or a child's stomach. We recommend eating and drinking normally to pass the litter. Contact a vet or your doctor is the pet or child do not get better. On Walmart's website it clearly states &quot;flushable&quot; yet my container with the exact same label, 12 pounds with the pink lid says nothing about flushable. Can you clear this up please? Thank you very much for your contact and question. Yes, the product that you referenced is flushable. (Presently, we decided to highlight other attributes on the label.) Please call our consumer relations for more information and coupons..(1-800-645-3741). Is it safe for 3 week old kittens? If they possibly ingest it? Thank you very much for your question. 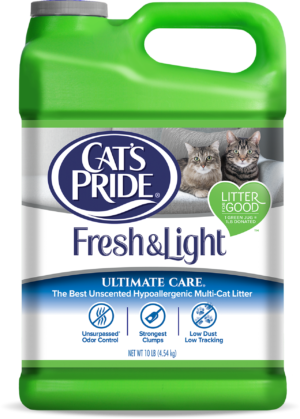 All our cat litter products are safe if ingest: however, do the nature of &quot;curious kittens&quot; that tend to eat and chew litter and toys frequently, we recommend using a coarse (or conventional litter) for a few months.--Cat's Pride&reg; Premium &quot;Fresh &amp; Clean&quot; (20lb bag). The clay particles are must larger and will discourage the eating of cat litter. Feel free to contact our Consumer Relations 1-800-645-3741 for cost saving coupons. Thanks for your question and continued support of Cat's Pride&reg;. How often should you replace and clean the box when using scoopable cat litter?